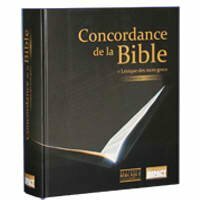 Here is a valuable reference tool for every preacher and Bible student in the Francophonie. This agreement contains the most important words found in the King James Bible in 1910 and the New International Version 1979. A glossary of Greek words enriches this volume.